Corporate law is one of the key practices of our company within which we provide services of formation, reorganization, liquidation of legal entities, as well as represent shareholders’ interests in resolving corporate disputes. Lawyers of our company are actively involved in M&As, carry out transactions in stock exchange markets, including the IPO. advising on labor, financial and contract law. Our lawyers have a unique experience of creation of corporate management structures in major companies, including participation in the main listing at London Stock Exchange, defense of shareholders' rights, including appeals of ownership of large stakes in leading companies of Ukraine, the appeal of privatization auctions and purchase of corporate rights of companies in different jurisdictions in Europe and Asia. EQUITY has been recommended by the international directory The Legal 500 - EMEA 2016 in Corporate and M&A. EQUITY has been recommended by the international directory IFLR 1000 2016 in M&A. 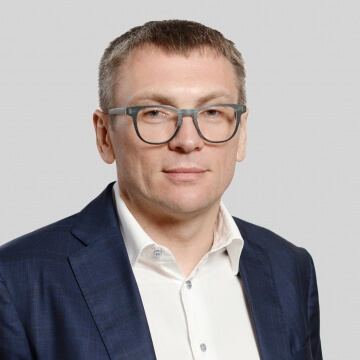 Senior Partner Viktor Barsuk is among the leading experts in Corporate Law according to the publication "Legal Newspaper". Ukraine, 01001, Kyiv, Rylskyi lane, 4.